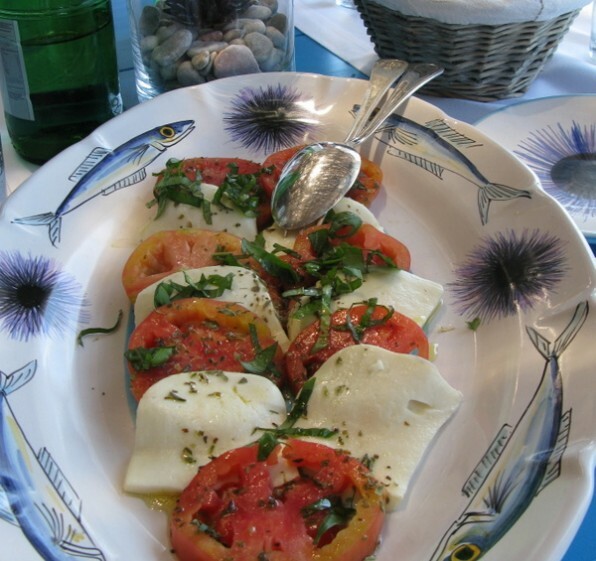 This Insalata Caprese was served on Capri at Il Riccio where I was fortunate to spend a few night as a guests of the Naples region tourist board. The recipe for Authentic Salad Caprese requires few ingredients. It consists of ripe tomatoes shingled on a platter, thick slices of creamy mozzarella, shredded basil, extra virgin olive oil and freshness. Not a drop of balsamic vinegar in sight. This is my kind of seasonal eating. 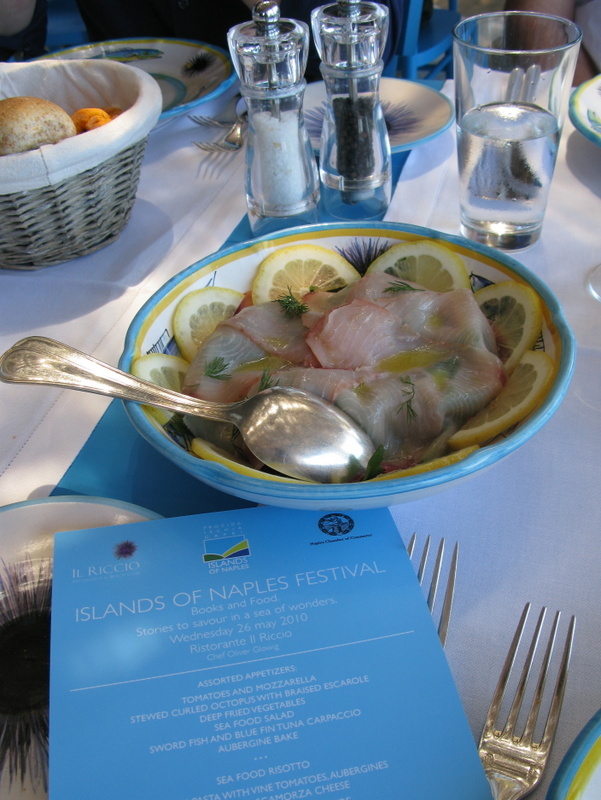 Even their fish carpaccio was a study in simplicity, thin slices of just-caught swordfish dabbed with olive oil and fennel fronds presented on greens.